Once upon a time The Smiths and The Cranberries met a producer and a supergroup was born. 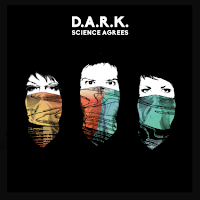 The band bio states that D.A.R.K, the band, has its roots in the collaboration formed between Andy Rourke (Smiths/ Bassist) and Olé Koretsky, after they met gigging in Washington DC. After a couple of years’ experimentation and laying down tracks in their home studios, a chance meeting between Andy and Dolores O'Riordan (The Cranberries) resulted in the singer asking him what he was working on. They began sharing tracks and the rest is history. It is complicated to describe the array of influences on the album insofar as it does cover anything from Sonic Experimentation and Electronica to Bowie, Cure or REM for the most obvious ones. 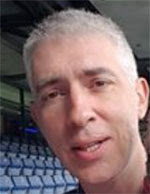 When I was half way thru the album, the ambiance and atmosphere reminded me of the talented but unsung Irish hero Perry Blake. 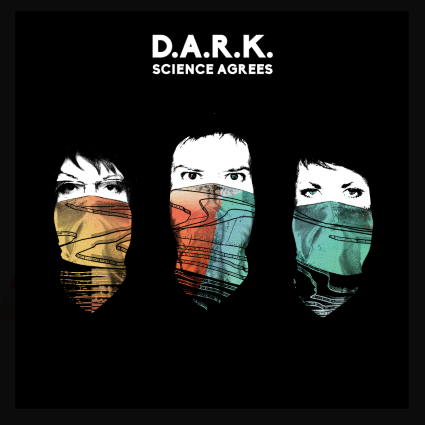 The musical pedigree of Andy and Dolores makes this album more than a curiosity. This is a superior collection of musical vignettes, well complemented by the DJ background and song writer’s talent from Olé. Subtle, intelligent and extremely well produced there are different ways to approach each songs as they all have a multidimensional facet to them. It’s great to hear Dolores fully in control and her voice is especially superb on ‘Loosen The Noose’, where there is a fascinating dialogue between her and the male and suave answers that Andy provides to her interrogations.